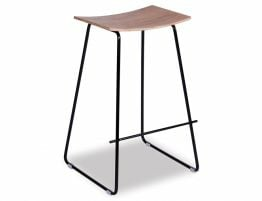 This simple modern barstool mixes a curved wood padded seat with three distinctive seat finishes to customise your space. This gorgeous black powder coat painted steel framed Hudson barstool offers a padded black seat for comfort and good looks. 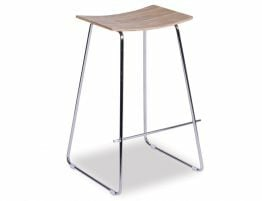 Our Hudson barstool embodies the beauty of fashion, the tailored style of minimalist design and the simple forms and lines of the best of architectural elements. The outstanding style inspired by the Yvonne Potter Y Kitchen Stool Black Frame w Walnut Black Pad barstool might be just the update your kitchen needs. 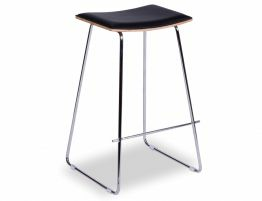 New barstools can completely reinvent the look of your kitchen without replacing everything. 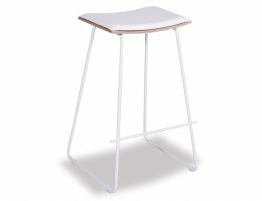 Update your space with a chic modern look with our minimalist barstool. 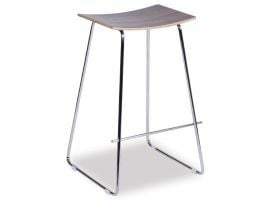 At Relax House, we offer you low cost and stylish interior design solutions and fabulous furniture pieces that won’t leave your wallet raided.